The Speckled Sparrow: A Sketchy Sketch Birthday Card! I seriously can't believe I have not used this stamp set before today! I have avoided it as it is what I call "Too Scritchy Scratchy" or in normal words it is a sketched style of stamp. I had a left over (we call them rejects here) piece of water coloured cake from my last gift card & thought...what the hell lets try & use it. 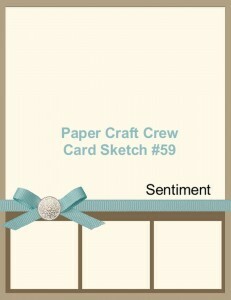 I have always wanted to join in a Sketch challenge & figured why not have a crack at the Paper Craft Crew Sketch Challenge 59. (Seriously can I say Sketch one more time?...I think I might.) 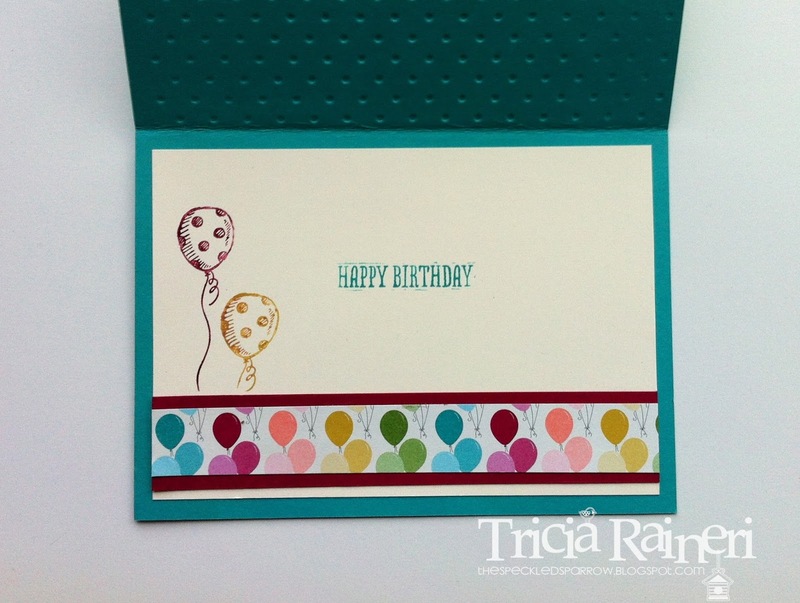 So for my 1st ever challenge entry I chose some bright & fun colours with the Birthday Basics DSP. You can see I used the Petite Curly Label punch & layered them on the 1" Square punch. That is the 1st time I have used that punch since Sale-A-Bration so go me for using it again! Ink: Bermuda Bay (131171), Blushing Bride (131172), Summer Starfruit (126991), Raspberry Ripple (126859), So Saffron Marker (131263). 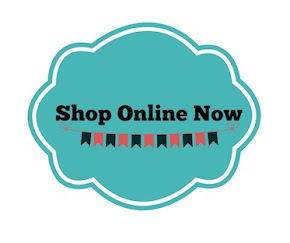 Cool Tools: Circle Collection Framelits(130911), Bitty Banners Framelits (129267), 2 3/8" Scallop Circle Punch (118874), new Bermuda Bay 1/8" Taffeta Ribbon (131206), 1" Square Punch (124094), Petite Curly Label Punch (129405), Perfect Polka Dots EF (117335), Bigshot (113439), Dimensionals (104430). that's a lovely card, funny isn't it how you can have a stamp set for so long and not get round to using it!